Earlier in the year, Lendlease property developers launched their First Place strategy, an initiative that will help Victorians achieve their dreams of owning their first home. Earlier in the year, Lendlease property developers launched their First Place campaign, an initiative that will help Victorians achieve their dreams of owning their first home. First Place is an initiative that offers first homeowners the exclusive opportunity to save up to $37,400 on apartments at Lendlease developments Melbourne Quarter and Victoria Harbour. As part of the First Place initiative, potential buyers pay a 5 per cent deposit, and Lendlease will contribute the remaining 5 per cent. 1. Confirm to Lendlease that you qualify for the First Home Owners Grant (FHOG) 2. You, or your partner, cannot be previous recipients of the grant in Australia or owned any residential property before 1 July 2000 3. As Lendlease’s First Place is for first home buyers and not investors, you must also plan to live in the property for a minimum of 12 months 4. Pass a Financial Health Check. The FHOG is for first home buyers in Victoria, who are Australian citizens or permanent residents and are planning to build or purchase their first brand new home. The initiative is administered and funded by the Victorian State Government. For the Financial Health Check, Lendlease will refer you to Homeloan Corp who will help you confirm you can successfully pass a standard pre-loan approval based on income, savings and assets, as well as liabilities. You’ll need everything you already have prepared for your new mortgage — documents like proof of identification and proof of income, as well as supporting documents. You’ll need two payslips from your employer/s, transaction account statements for at least three months, and a PAYG payment summary from the ATO. Other information such as details of all assets and liabilities, living expenses and existing debts will also be necessary in identifying whether you qualify for First Place. Once you’ve been approved, you’ll be able to start looking for your dream home in earnest. Lendlease has two projects at the moment which offer apartments as part of their First Place initiative. Melbourne Quarter, located opposite Southern Cross Station between Flinders and Collins Streets, is one of the largest mixed-use urban regeneration projects in Melbourne. 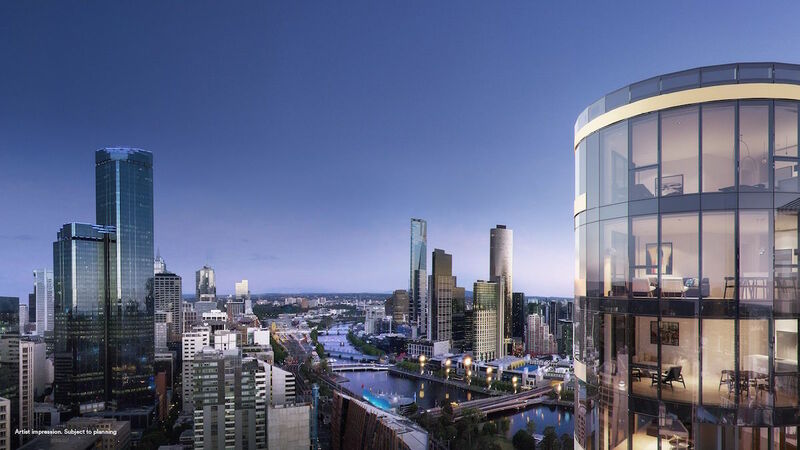 When you buy one of these off-the-plan apartments, you will live in the midst of a connected community with convenient access to resort-style amenities and Melbourne’s first ever elevated Sky Park, sitting above Collins Street. As the key part of Melbourne’s Docklands, Victoria Harbour offers a retail and dining precinct as part of the home package. With three residential projects on offer under First Place, you have the choice between No. 1 Collins Wharf which is currently under construction and has direct waterfront views, and immediate access to public parks on your doorstep, or the already constructed towers, 883 Collins Street and 889 Collins Street, designed by renowned Koichi Takada. Find out more about Melbourne Quarter here, and Victoria Harbour here.